Here is a simple recipe you could easily swap things out for what you have. 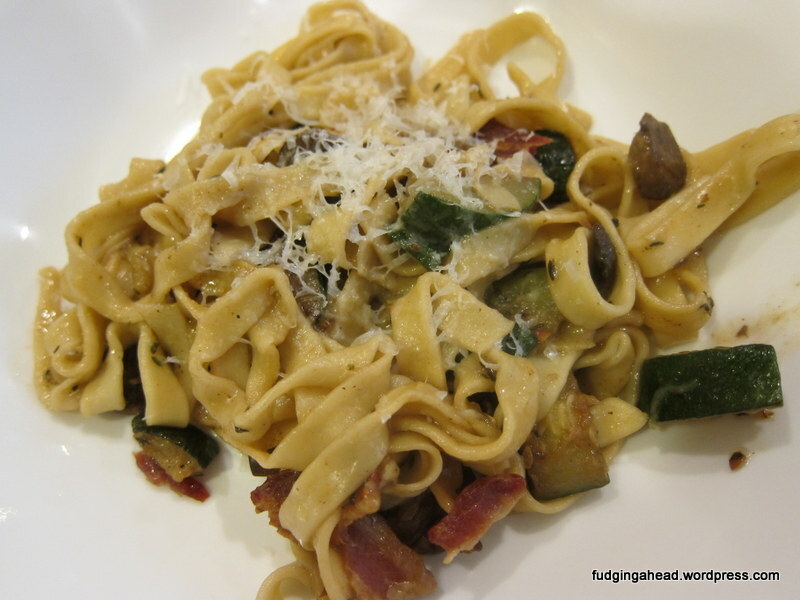 Basically, I wanted to make some pasta and then use some other ingredients I had on hand. If you follow me on Twitter, you will know that I was super excited about a Christmas present from my husband K. Pasta maker attachments for my stand mixer! 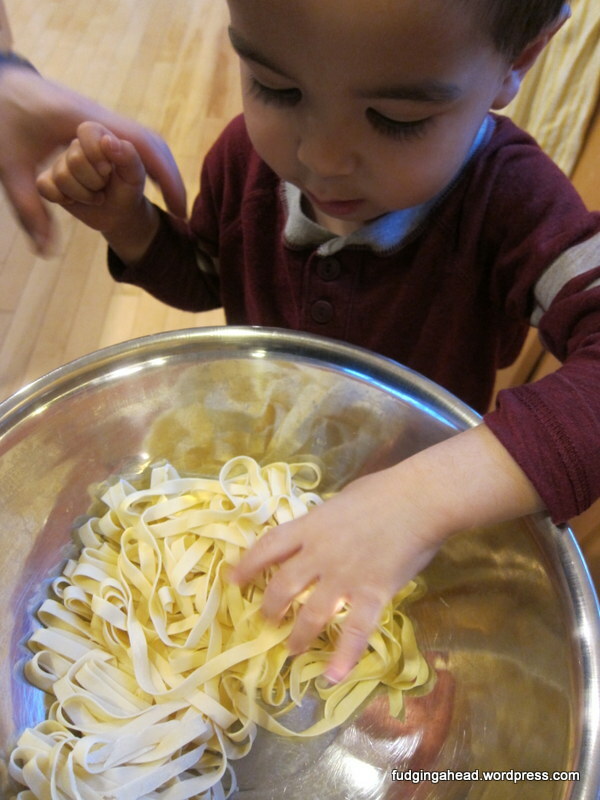 I’ve been making pasta with my by-hand pasta machine, but it’s been difficult and messy. The main issue is that I couldn’t attach the machine to my countertop because my counter is too thick for it. So, I end up trying to hold it in place while cranking the pasta. And, it is still pretty easy, but you obviously need a little muscle effort (maybe a fancier one is better, but mine was only $40 at a discount store), which is difficult when trying to hold a wobbly machine. Well, I heard the stand mixer attachments worked well, but I didn’t want to spend $150 on them. Are you in the mood for a fast dish that can have everything you need all together? Starch, vegetable, protein…and it is one tasty package? It maybe isn’t the healthiest, but you could always scale back the butter and cheese a bit if you wanted. 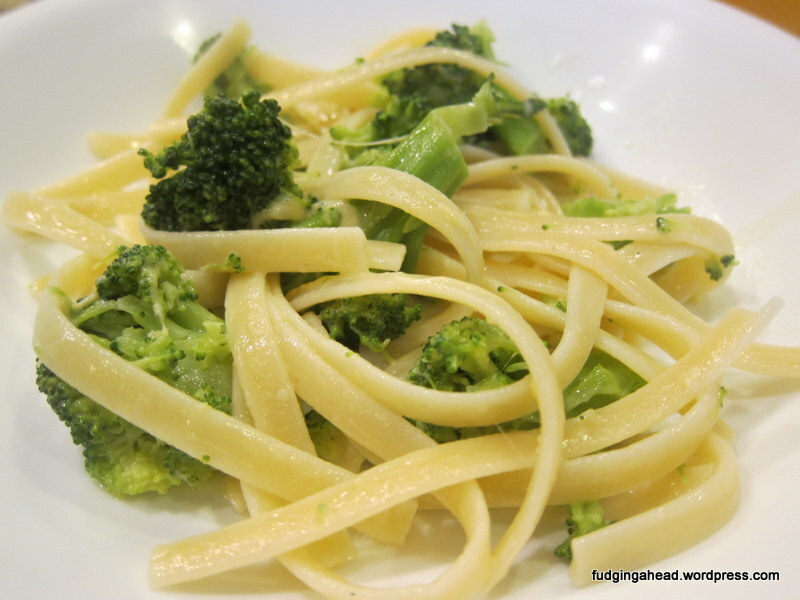 Or add extra pasta/broccoli to soak it up. We were all fans of this creamy dish which is very easy to make.